2 Comments on Simplify. Simplify. Simplify. …So echoed Darrell Silver, one of the four co-founders of CommandShift3, as he explained one of the guiding mantras of CommandShift3.com and with whom I had the great pleasure of being able to sit down and speak with recently at his cool downtown digs. We discussed a range of topics, from the ideas and processes that led to the CommandShift3 web site to what features its community of users can expect to see as the product evolves. CommandShift3 had 1mm page views within the first month after launching. A large factor in achieving this number most definitely comes from their keen attention to the User eXperience. 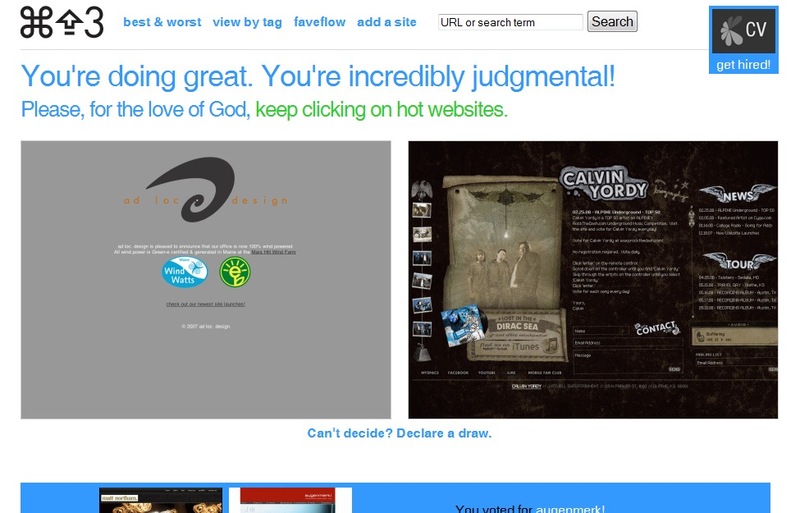 How did CommandShift3 zero in on such a rockin’ User eXperience? When the CommandShift3 group approached designing the User eXperience, simplicity was always in the forefront of their thinking. Every decision revolved around this guiding rule, from the potential use of tabs to where and if to use AJAX. 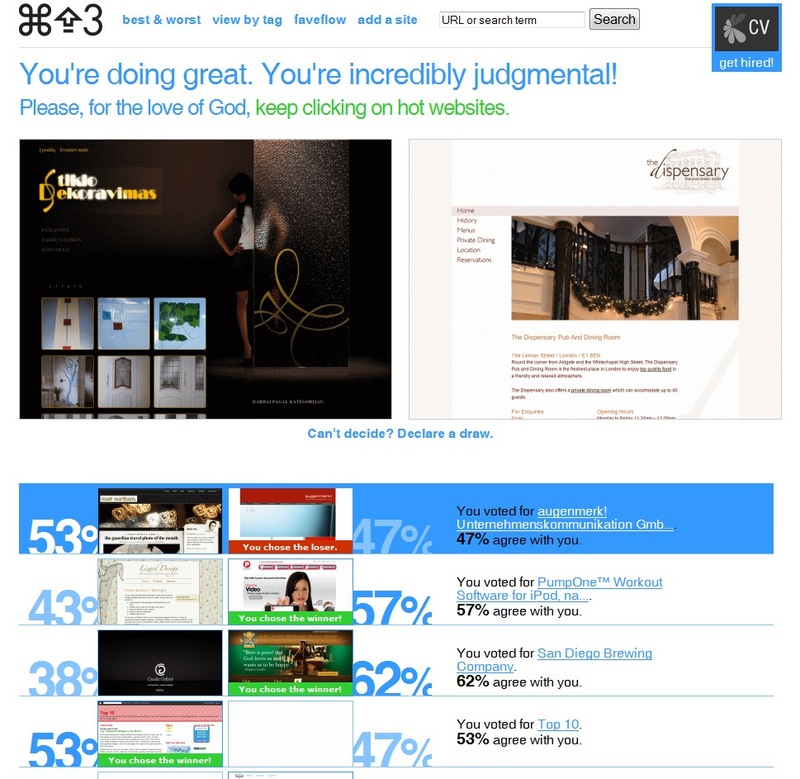 One of the early challenges faced, one that can almost be a metaphor for the iterate-to-simplicity process, was with respect to the display of the websites that participate in the voting. How do you size the screenshots correctly? How do you present the most necessary information at each stage? What is that necessary information? Through iterating on this problem, they were able to zero in on the solution that you see today. You can observe that the screenshot starts at the largest allowable (and necessary) size, with minimal labeling. 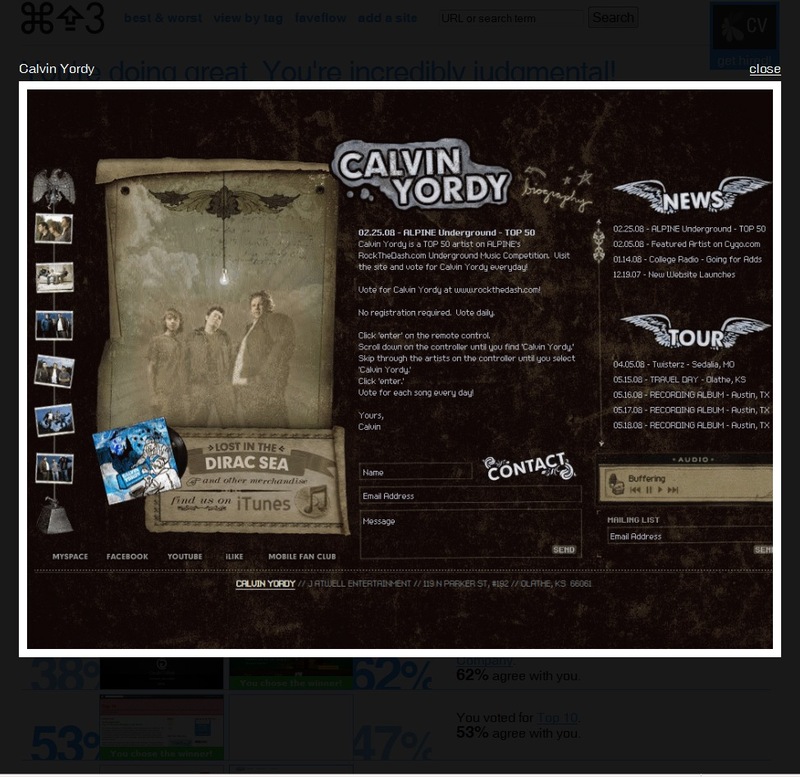 The first screenshot presented, has already been reduced slightly in size to accommodate space and address the need for simplicity — presenting just the information necessary to make a voting decision. Occasionally, to make a voting decision more detail may be needed and is achievable by way of the zoom button. As the screenshot progresses through the process, clearly less information is needed. The image goes from big to smaller to smaller. Darrell and the rest of CommandShift3 understood that they were designing for the design community — and this audience always notices every last detail. URLs. They needed to be short, simple and bookmark-able. Colors. They understood that the CommandShift3 audience would instantly spot if a color was slightly off or if there was some other mismatch. “Simplify. Simplify. Simplify.” the philosophy expressed by Darrell Silver in my interview and shared by the other founders (Erin Sparling, Lee Semel, and Amit Gupta) that led them all down a path – of creating a cool product with an awesome (and, in some cases, addictive) User eXperience. Another part of CommandShift3’s success was that they were able to identify a completely unserved need within the designer community and come up with a very fun and entirely unique product. More recently, some competition has been emerging. 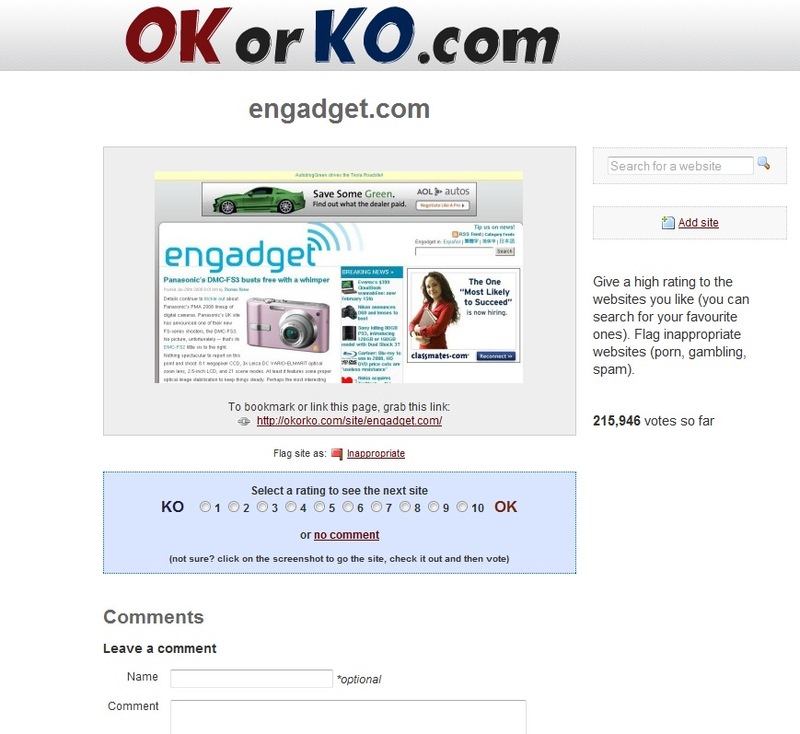 The most notable competition comes from Technorati founder, David Sifry in the form of OKorKO.com. You can read more about it here. Obviously, by just comparing the homepages of CommandShift3 and OKorKO, CommandShift3 remains in a league of its own. Tweaking some of the language on the site details page to be less confusing. Don’t worry, they are on it. …and a lot more cool stuff. CommandShift3, the team that has given new, and social, life to the Print-Screen ‘button’, has truly identified an, until now, unheeded call for a strong, interactive community for all designers and their fans. They have created a product that is fun to experience, interact with, and share through, as well as great for research or exploration, or even testing out new concepts on a large audience. I had a great time speaking with Darrell Silver and (we all — the fans of CommandShift3) look forward to the many great things coming soon from CommandShift3. Enjoy & if you haven’t already done so… go and check out CommandShift3.com! & Have Fun! Next Entry Quick-UX. Quick Heuristics for User eXperience.